Miguelito was rescued from a hoarding situation and he's still trying to figure this beloved family dog thing out. Miguelito has a very distinctive look to him with his big radar ears and long legs that make him look more like a fawn than a dog, and he has the same bashful, delicate personality. He likes having his crate as a safe space, and during the day he roams the house and follows his foster mom from room to room. If he loses sight of her he'll bark to say "Mom! Where you at?" He likes to sit in the chair next to her for brushing and pets and "cookies". He is turning into very much a lap dog and has also learned to play and has a favorite stuffed animal that he carries around everywhere with him like it's his baby. Miguelito is very a low maintenance guy and smart too. He already knows "crate", "no" and "quiet", is working on "come" and "out", and he's really good at "cookie" and "treat". He's making excellent progress on his house-training and has proven to be a good watch dog and barks when anyone is at door or in the yard. Miguelito will make a wonderful addition to a household that's looking for a sweet and gentle companion. Come meet him! 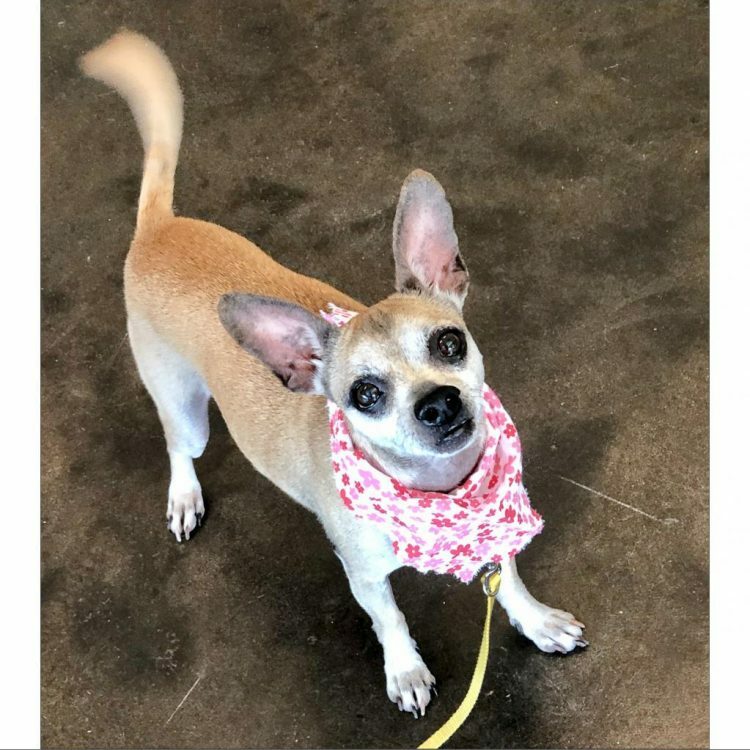 I saw Miguelito (https://www.austinpetsalive.org/adopt/dogs/apa-a-62339) on the Austin Pets Alive! website and would like to request more information.